I’m currently reading Dancing With Dragons by DJ Conway, Tarot For Beginners by P. Scott Hollander, and Druid Power by Amber Wolfe. Once I finish Druid Power I’m going to start either Celtic Magic by DJ Conway or Druid Magic by Maya Magee Sutton and Nicolas R Mann. I’m going to read both of them, I just haven’t yet decided which is going to be next in line. 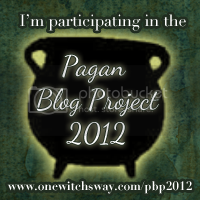 Mystical Dragon Magick, also by DJ Conway, is on the list as well, but I’m going to finish Dancing with Dragons first. The tarot book I read a chapter of here and there. I’ve been reading tarot cards for years, but I’m a little rusty and need a refresher on the cards. I know what they all mean, but this is one of the most concise books I’ve ever read (aside from the CIG tarot book- for reals) and it’s the one Hubs happens to have in his library, which, by the way, puts the New Age section at most book stores to shame. I’m also reading the Shadowscapes Companion, the book that came with my new tarot deck, a birthday gift from a friend. If I get to finish those, I’m also going to read Advanced Celtic Shamanism, another by DJ Conway, and I think I might talk Hubs into picking up herMoon Magick title I’ve been eyeing. The last two books I’ve really been wanting to read this year are Celtic Lore & Spellcraft of the Dark Goddess by Stephanie Woodfield and Celtic Myth and Magic by Edain McCoy. 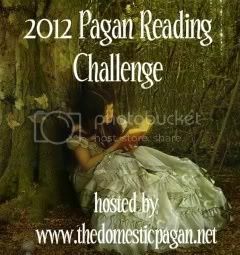 Oh, by the way, I forgot to link to this post in my comment on the Domestic Pagan page for the Reading Challenge, I accidentally linked to my blog itself. Seriously, accident. I’m a ditz sometimes and sporadically have massive reading comprehension fails (thank you brain damage). So, I’m putting an image link in the sidebar.